Once considered a breakthrough in negotiations to address problems of making cutting-edge medical products and research available to poor countries, the decade-old World Health Organization Global Strategy and Plan of Action on Public Health, Innovation and Intellectual Property (GSPOA) is now undergoing review, with the WHO Executive Board calling for a report on the initiative and plans for its future next year. The Executive Board, consisting of 34 rotating WHO members, met from 23 January to 1 February, finishing its work one day early. The Global Strategy and Plan of Action (GSPOA) was agreed in Resolution 61.21, at the 2008 World Health Assembly, with the aim of encouraging research and development into neglected diseases predominantly affecting lower income populations. 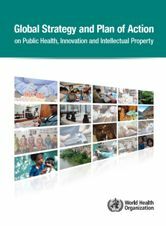 At the time of its passage, it was hailed as “the most important document on IP and public health since Doha,” (IPW, WHO, 29 May 2008), referring to the 2001 World Trade Organization Declaration on TRIPS and Public Health. Board members at their recent meeting negotiated in informal sessions to synthesize proposals on the terms of reference for the review. The results of these will be presented to the 71st annual World Health Assembly, in May 2018. The Board also took note of a report, EB140/20 [pdf], by the WHO secretariat on the evaluation and review of the GSPOA. The report describes the process of evaluating the GSPOA over the years, and highlights a comprehensive evaluation of it. The executive summary of the evaluation, conducted by an outside consulting firm named Capra International from January to November 2016, is included in the appendix of the report. The evaluation covers the period from 2008-2015. The programme review, meanwhile, will look forward to the years 2018 to 2022, with an eye on achievements, remaining challenges, and recommendations. The agreed terms of reference for the programme review are shown the decision document. To create the expert panel, the report said member states would nominate experts from a roster, leading to the selection of 18 panel experts. The panel was proposed to meet three times at WHO by September 2017 before finalising its report. A progress report is expected to be given at the World Health Assembly in May 2017. (f) submit a final report to the Health Assembly, including the assessment of the global strategy and plan of action and recommendations on the way forward. The comprehensive evaluation assessed the status of implementation of the eight elements of the global strategy, according to the evaluation report. These were: Prioritising R&D needs; promoting R&D; building and improving innovative capacity; technology transfer; application and management of intellectual property to contribute to innovation and promote public health; improving delivery and access; promoting sustainable financing mechanisms; and establishing monitoring and reporting systems. The evaluation found that the GSPOA has gained very little awareness among local stakeholders, and has led to few activities in countries. As a measure, Intellectual Property Watch, which has covered these issues at WHO more than anyone in the world over the past 12 years, intensively covered the negotiations for the GSPOA and the years leading up to it, but has reported sporadically on it since then, as it has not been on the front burner at WHO. The evaluation made a series of recommendations for WHO member states and the secretariat to address shortcomings, suggesting things like member states promoting upstream research in lower-middle income and low-income countries, and a variety of multisectoral partnerships and cooperative efforts. Other examples of recommendations relate to boosting traditional medicine, and developing new incentive schemes for health-related innovation in line with what has already been done by the WHO Consultative Expert Working Group on R&D: Financing and Coordination (CEWG). On intellectual property rights, the evaluation made a series of recommendations, such as increasing awareness of the flexibilities for developing countries in applying the World Trade Organization Agreement on Trade-Related Aspects of Intellectual Property Rights (TRIPS). The GSPOA issue came to the floor of the Executive Board on 27 January, and member states offered a range of comments, ranging from ending the GSPOA to intensifying implementation and updating it. New Zealand led off by saying report does not make a compelling case for continuing the work of the GSPOA. The delegate said it notes that progress was made on issues but that it is not clear it was related to the global strategy. Recommendations that fit within the existing work of WHO should be considered, New Zealand said, such as health systems strengthening or use of TRIPS flexibilities. The delegate further said the evaluation said it is not effective and that costs to members are mounting. But for developing countries which make up the majority of WHO membership, this is the higher priority. Algeria, speaking for the African region, raised concern about the obstacles cited in the report, and that these must be faced in order to have the balance of innovation and access. The region also feels that research funding is not balanced toward priorities of low and middle income countries. “They don’t meet the concerns of our countries,” he said (translation), which include capacity-building, regulation, research, clinical trials, and manufacturing. The African region was among others that raised the need for the review to take into consideration not only the input of other agencies in Geneva like the World Trade Organization or the World Intellectual Property Organization, but also September 2016 report of the United Nations Secretary-General’s High-Level Panel on Access to Medicines. Canada said the mandate of the expert group includes consulting member states. Thailand raised concern about the “uneven implementation” of the global strategy and plan of action. It proposed amendments to the programme review terms of reference to conduct analysis of barriers and gaps as well as achievements. Thailand said there had been raised awareness of the global strategy in the South-East Asian region. 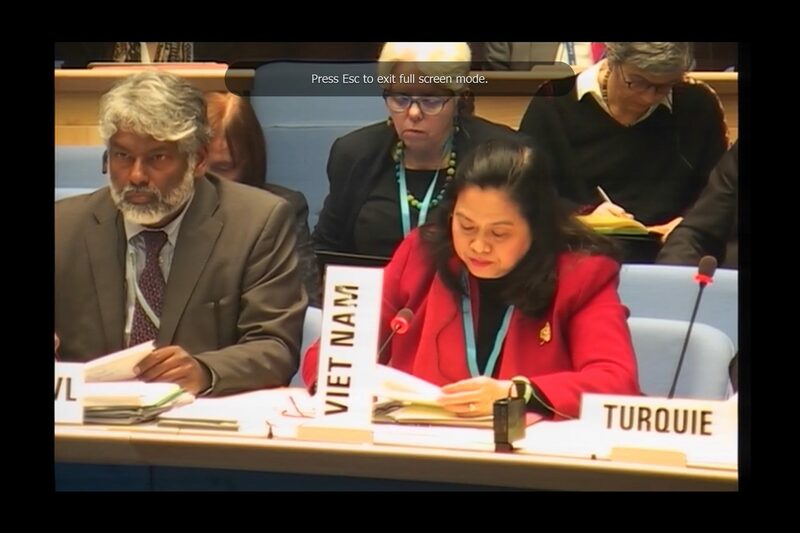 Vietnam called the global strategy and plan of action “one of most important agenda [items] put forward by the secretariat for the World Health Assembly” in terms of ensuring equitable benefits from research and development for essential medicines and technology. If the global strategy and plan of action are implemented it “would tip the balance for the poor,” and they have “much hope” for the strategy, the delegate said. Vietnam detailed the importance of implementation of the strategy and plan. China said the evaluation shows that member states have not given due attention to the global strategy and plan of action and that implementation is necessary. There is a need to leverage north-south and south-south cooperation on innovation, the delegate said. China called for the removal of IP barriers to ensure access to essential drugs. Mexico stressed the importance of R&D in budgets, and agreed that priorities need to be established for R&D, mentioning the importance of access to knowledge, technology and tech transfer. Mexico called for “public policy toolkits” to be developed for implementation after identifying remaining challenges under the GSPOA. The United States aligned itself with the comments of New Zealand, noting that the evaluation found so few countries doing what they were doing because of the GSPOA or not aware of it. The delegate suggested that going forward, the focus be on areas of consensus. The US also suggested some amendments to the terms of reference, such as changing the direction of the review to come from the 68th World Health Assembly resolution WHA68.18 (2015), which called for it. Another proposed amendment was to specify that the expert review panel’s conclusions should identify areas in line with the 10 principles of the GSPOA. These were essentially accepted in the final agreed version. The US also sought to add to a note about involving relevant stakeholders to say “including public and private sector entities” involved in biomedical R&D. This was eventually changed to say, “including public sector entities and all categories of non-State actors in line with FENSA,” reflecting the new WHO Framework for Engagement with Non-State Actors (FENSA) including private sector, foundations, NGOs and academia. A small amendment by the US was to change a directive to “assess” the evaluation to “consider” the evaluation, as they were not asking for the group to redo the assessment. This was accepted. Another US amendment led to a new sub-item in the terms of reference, to include input from three other agencies, WIPO, WTO and UNCTAD. The final agreed version waters the demand down a little to “invite” these agencies to provide input. Fiji made a tough-minded proposed amendment to add a sub-item that based on the assessment of the GSPOA it should be decided whether to continue it to 2022, and if so, consider what may need to be modified and improved in the next stage of its implementation. The effect of that would be to empower the expert group to make a “go-no go decision” on the continuation of the plan. Colombia stressed the importance of continuing with the GSPOA. The country said it considers it “vital to have a holistic view” of the evaluation and the GSPOA implementation. To that end, it said it is critical to consider the recent report of the UN High-Level Panel. That contains important technical input that may be useful for guiding this process, the delegate said. The United Kingdom said the GSPOA provides a comprehensive approach to this complex area and the WHO is the relevant body. The delegate also said that improving terms of reference will enable the review to go ahead. India said the report shows a widespread lack of awareness of GSPOA, and lack of monitoring and reporting systems. We believe that we need to respond with a greater promotion of the GSPOA as this is an important international instrument. India referenced a 2003 WHA resolution that required the director general to monitor trade agreements. India said there was no reference in the report to the barriers to the full use of TRIPS flexibilities in trade and investment agreements. India’s proposal to include this in the terms of reference was not successful. The remaining countries that spoke were non-Board members. India joined others in calling for the terms of reference to include direction to consider the UN High-Level Panel report. But this was not accepted in the final version. Switzerland said it recognised the value of the external evaluation, but would have preferred more member states to participate. It welcomed the fact that the evaluation team followed a differentiated approach based on country income rather than bunching them together under the single term “developing” country. This allows them to ensure that those who really need it are beneficiaries. It is important that the expert panel also be guided by this differentiated approach. Switzerland hopes the expert panel will come up with proposals that will allow member states to find consensus, the delegate said. Panama said it is committed to implementing the GSPOA, and agreed to defer the deadline to 2018. The country is implementing a public health policy and national agenda, and has given priority to its innovative capacity. On IP rights, the delegate said the country urges that in trade negotiations, the IP chapter not include elements beyond what has been included in TRIPS Agreement. “We would like to see a balance between intellectual property rights and the needs of public health,” the delegate said. Panama also highlighted the issue of patent flexibilities, as it does not want rights getting in the way of people being able to access the drugs they need or the nutrition to which they are entitled. Indonesia said it generates patents and copyrights on products on traditional medicines, diagnostic equipment, food supplements for nutrition and others. It supports intellectual property and public health, and so it supports the extension of the deadline for the GSPOA. South Africa said it sees coherence between the GSPOA and other strategies. The delegate said the country found the question of the continued relevance of the GSPOA “interesting and even surprising,” especially bearing in mind the important work of the CEWG on alternative financing for R&D. It emphasised implementation of the GSPOA, as noted in the report there hasn’t been sufficient information and awareness amongst countries about it. South Africa also asked that the review take into account the work of the UN High-Level Panel. Brazil asked how the consulting firm Capra International was chosen and how much the evaluation cost since cost-effectiveness was raised by another delegation as being of concern. The report is “lacklustre and very frustrating,” Brazil said, and does not do justice to the breadth and relevance of the GSPOA and fails to understand the framework of the discussions. The tiered differentiation based on levels of income is not in keeping with the WHA resolutions and the GSPOA, the delegate said. The methodology is unclear and there appears to be a lack of specialisation of the consultants, and the UN High-Level Panel is not mentioned in the executive summary, though it is “obviously extremely relevant to the subject at hand,” Brazil said. Furthermore, there is an assertion that R&D is mainly performed by the private sector, whereas several studies … underline the magnitude of the importance of public sector funding. In addition, causes for the lack of awareness and implementation of the GSPOA are not fully elaborated, and there is not sufficient assessment of WHO’s own efforts in this. There are many barriers at play that need to be overcome. Definitely this is unfinished business and WHO must prioritise this agenda under an access to medicines perspective. It is essential that countries can receive support from WHO and its regional offices to use TRIPS flexibilities. On the terms of reference, Brazil said it should be guided by the evaluation due to its flaws, but should focus on implementation and the need for updating the strategy. Elil Renganathan, WHO director-general’s representative for evaluation and organizational learning, who was active in the negotiation of the GSPOA, was given the task of responding to questions and comments from the member states. Renganathan said there were 68 countries active in the evaluation. The process for selecting this firm was clearly laid out in January 2016 Executive Board meeting, he said. On the differentiation between countries based on income, he said it was the result of the difficult in getting agreement on how to define a developing country, so they proposed to do it the way the World Bank does, breaking it into four income groups. He said it was included in a report presented to the 2016 Board meeting, and the concept was shared with member states in a briefing held just after the Board meeting. “We didn’t get any pushback on that so we went on with that,” he said. As to the UN High-Level Panel report, he said the period of the evaluation was 2008-2015, and the UN panel was launched in November 2015, and the evaluation does refer to the launch. Furthermore, the panel report was released in September 2016 and the evaluation completed most of its work in August 2016. On accessing the full report, he said they did “the best we could do” as it went out to “all the national focal points,” the country case studies, to the Geneva mission health attachés on 16 December, and put it on the WHO evaluation team website on 20 December. And the secretariat summary was sent out on 10 January (less than two weeks before the Board meeting) with a link to the report. The secretariat carefully explained the process for selection of the expert group, which it said was done by expertise based on the eight elements of the GSPOA. But it did not appear to answer the question of cost of the evaluation, nor fully respond to the idea of greater assessment of the secretariat’s role in the lack of awareness among member states about the strategy and plan. The secretariat report was noted by the Board, and informal consultations were launched to address the proposed amendment of Thailand, the United States and Fiji. The consultations resulted in the agreed terms of reference a few days later. "Special Report: WHO Board Sets Review Of 10-Year Effort To Boost Medicines Access, Affordability" by Intellectual Property Watch is licensed under a Creative Commons Attribution-NonCommercial-ShareAlike 4.0 International License.